Is there anything more delightful and innocent than an Easter egg hunt? The short answer is yes because I’ve been to a couple that had more in common with a mud-wrestling throw down at a bar during dollar beer night than a Springtime frolic through a meadow dotted with wildflowers, butterflies and hand dyed eggs decorated in a three-tier color motif and monogrammed with a template some crazy crafter mom downloaded off Pinterest. 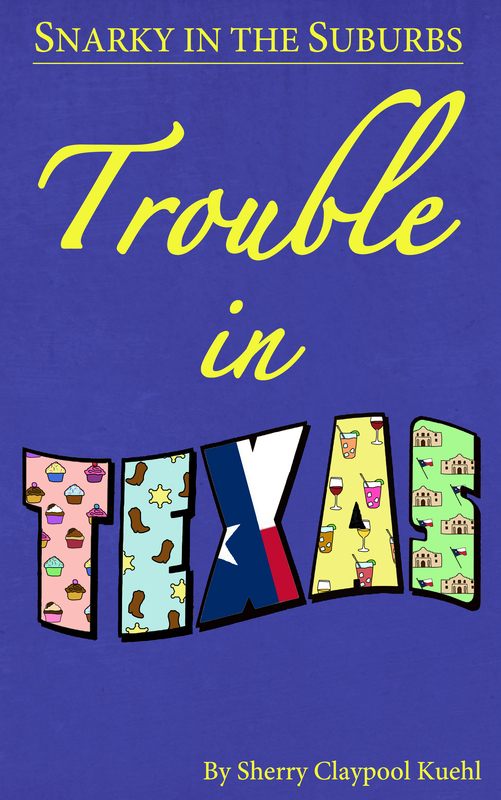 My first Easter egg hunt gone bad happened in Texas on Palm Sunday when my son was just a seersucker, smocked, suit wearing toddler. The Wednesday night bible study classes had organized an after church Easter Eggstravaganza. Eggs were spread all over the church playground and an adjoining field. When the pastor said ready, set, go, off went the kids to collect eggs. This childhood moment of bliss lasted probably about two minutes before parents got involved in the hunt. Specifically, two dads who, apparently dismayed, by their children’s lack of egg location prowess began helping them fill their baskets. This evolved into the dads competing against each other in a race to get the most eggs. The final “Dear God in heaven hear our prayers” moment occurred when one of the dad’s took a palm frond that had been handed out to all the kids at church because of Palm Sunday and began hitting the other dad with said frond. Blessed be the irony because all the eggs had been filled, not with candy, but with bible verses about love. Sadly, or if you’re me, even more delicious was an Easter egg hunt years later at a country club. The egg hunting took place on the 18th fairway and children were supposed to hunt in their age group areas in an effort to avoid having little kids competing against older kids for eggs. All was going well until a few older kids, in a searching frenzy no doubt, ventured beyond their age boundaries. This lead to a couple of parents going ballistic (and perhaps egged on by the pre hunt Bloody Mary buffet) that their little ones were being deprived of the full egg hunt experience. Before you could say “Hopping down the bunny trail” these parents stormed the 18th green and began an egg free for all. Not only were they grabbing eggs for their children, but they also heckled the older kids and threw in a few hip checks plus some classic tripping moves. The kids falling alarmed some of the country club members, but not how you would think. No, the hard-core golfers got super ticked off that the melee had proceeded off the fairway and onto the green. This had several over 65 gentlemen charging the course not to protect the kids, but to save their precious golf turf. 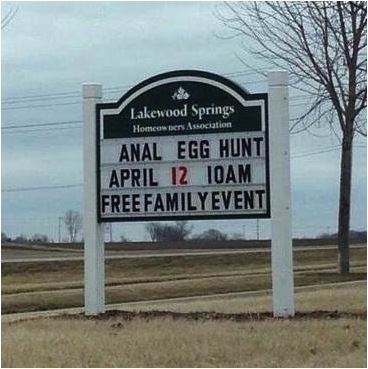 Minutes later the area was full of parents, kids, AARP card-carrying golfers and a country club worker with a mega phone shouting that the egg hunt was O-V-E-R! It took people threatening to call 9-1-1 and at least one promise of a lawsuit to clear the 18th hole. So, with this in mind if you’re venturing out into the high stakes world of competitive plastic eggs collecting I urge you to beware of these types of parents. This mom or dad can’t seem to stop themselves from kicking Easter Eggs their child’s way. From the toe kick that rolls the egg right to their kid’s basket to the old soccer move, the back heel, this parent will adhere to the adult “hands off” Easter Egg hunt rule by letting their feet do the dirty work. These parents confuse an Easter Egg Hunt with a winner take all death match for their family’s superiority. The Screamer bellows instructions, tips and in some cases hurls verbal insults all in effort to insure their little Peter Cottontail collects the most eggs. Not content to follow the rules and watch from the sidelines this parent feels the need to be their child’s shadow as they hunt for eggs. The Stalker has many varied personalities and also can turn on a dime into a Kicker and/or Screamer. Let’s us all join hands in a moment of pity for the parents with lackluster impulse control. These adults overreact to every situation and as soon as they see their cherub is little slow on the whole egg collection concept they rush out and commander the Easter basket because nothing says good parenting like an adult tripping other children to procure a plastic egg filled with, maybe, two jellybeans. OMG – I so relate to this! Last year in the small Michigan town I live in 3 dads got into a fistfight over the “golden egg” which has $100 in it. Each dad said his kid had “seen the egg first.” The cops had to be called and charges were filed. Happy Easter! I work for a smallish town and two years ago we stop having the community Easter Egg hunt after doing one for almost 50 years because parents went total cray. They grabbed other kids baskets. There was shoving and all around awful behavior. It made me very sad. Oh my word – when I was a kid, about 9 or so, my parents took us to an Easter Egg hunt held by our local credit union, of all things. They neglected to segregate by age, so of course the kids older than me got most of the eggs. As I’m frantically running around to get what eggs I could, I happened upon a crying 3-year-old who was apparently understandably frustrated and disappointed that they couldn’t get any eggs. Without thinking much about it I dropped one of my eggs into her basket and ran off as I heard her stop crying behind me. I remember being surprised at how excessively grateful the mom seemed afterward. I mean, it was just an Easter egg and I had plenty – it’s not like I was the next Mother Teresa. But I guess if you compare it to the behavior of the other kids I guess it did kinda stand out a bit. I don’t know what it is about Easter Egg hunts that just bring out the WORST in kids. I’ve been to a couple of Easter Egg hunts and they should really hand out this guide before letting parents participate! Love this! Forwarded it to all my friends. Your blogs are truly cathartic for me! I am so glad I found you. I appreciate you so very much!